Today’s installment is part 5 in my Escape From iTunes series. In the first post I explained why making the switch from iTunes to Amazon’s MP3 Cloud Player is an especially good move for Kindle Fire owners, since it will free them to get full use of their digital music libraries across all their devices, including the Fire. I’ve already compared the Samsung Galaxy Player 3.6 to the 5th Generation iPod Touch and found them to be virtually identical in functionality (though not in price!). I also compared iTunes to Amazon’s MP3 Cloud Player for use as a music player and library management tool, and concluded Cloud Player is a worthy substitute. In Part Four, I detailed the steps for getting your music out of iTunes / off an iPod and into Amazon’s MP3 Cloud Player / onto a non-Apple portable music/media player. When you uploaded your library to the Cloud in the last installment in this series, you may have received a message at the end of the job indicating that not all of your files could be uploaded. In some cases this will be because the file in question is damaged, but in most cases it’s because the file in question has DRM protection applied. Any music you purchased from iTunes prior to 2009 will have DRM protection on it, and you will not be able to use that file in any non-Apple program or device—at least, not in its current form. This tutorial will explain how to convert those DRM-protected M4p files to non-protected MP3 files. I am not an attorney, and this site does not dispense legal advice so if you are gravely concerned about the legal implications of stripping DRM from your old iTunes purchases, I suggest you consult an attorney who’s versed in matters of copyright. However, I can tell you this: since eliminating DRM from its store, Apple has also added instructions right on its own support sites for how to strip the DRM from any iTunes music you already own, and if you were to buy those same tracks from iTunes today, you’d be getting files with no DRM. This leads me to believe that stripping DRM from old iTunes music purchases will not bring the FBI to your door, but again, if you have any lingering doubts you should consult a lawyer. Otherwise, here’s how to do it —note that this tutorial assumes you already know how to use iTunes for searching, sorting and creating playlists, and that you have a computer with a CD burner. 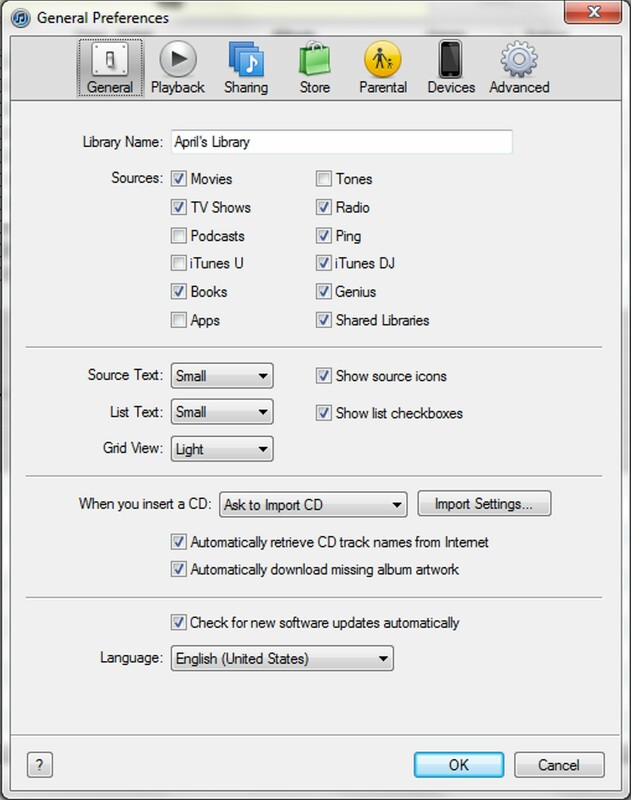 In general, you strip DRM from old iTunes purchases by burning the songs to CD, then re-importing them with your iTunes import settings set to import any new music files as MP3 files only. Once you’ve got the songs in MP3 format, you can upload them to Cloud Player just the same as all your other music. The tricky part is, the DRM-protected files are mixed in with all the other songs in your iTunes library. Grouping them first for DRM stripping, and then again for upload to Cloud Player after they’ve been turned into MP3 files, is key. Now, I know I originally said this entire Escape From iTunes process can be done pretty easily, and this part may look like a huge hassle to you if you have a large quantity of DRM-protected files in your music library. All I can say is, this sort of thing is precisely the reason why you want to escape from iTunes in the first place, and it’s something you will only have to do once. If you have more money than time, once you’ve followed steps 1 and 2 below, you may find you’d prefer to simply re-purchase your DRM-protected songs from Amazon and bypass the DRM-stripping process altogether. a. Create a Smart Playlist in iTunes and enter “Protected AAC Audio File” for “Kind” in the Smart Playlist creation dialog. Name the playlist something that will make it easy for you to find as you work through this conversion project, like “DRM to MP3”, and save it. The resulting playlist will contain every file in your iTunes library that has DRM protection. b. Select All in your new playlist, then right-click on any song in it and select “Edit Song Info”. In the “Comments” field, enter “DRM”. This will make all of the DRM-protected files easy to find in searches later on, simply by searching on “DRM”. Go through the DRM Smart Playlist songs and decide which songs you definitely want to transfer to Cloud Player, and which you can live without. Edit the “Comments” field for any you don’t intend to transfer to remove the “DRM” designation; this will remove them from your DRM Smart Playlist. a. Sort the DRM Smart Playlist you’ve created by Album, Artist, Genre, or whatever other criteria will get the songs into groups that will make sense to you as you break them down into sets that total no more than 80 minutes per set for burning to CD. 80 minutes is the maximum amount a typical CD disk can hold. If the song length column isn’t currently displayed in iTunes for you, right click on the column title bar to add it. 1. Select each song in the set. 2. Right-click on one of the selected songs and select Edit Song Info from the drop-down menu. 3. Edit the “Comments” field so that instead of just “DRM”, it says “DRM” plus whatever unique designation you want to add for this set of songs. Remember, the purpose for doing this is to make the sets easy to find with a simple search later on, so choose a name that makes sense to you and will be easy for you to remember later on. If you have MANY sets to process, you may want to keep a side record of the new designations you’re applying. a. Do a simple search on the “Comments” designation you entered for the set of songs. b. When the set is loaded, click the Select All checkbox to select all the songs in the set. c. In the File Menu, select New Playlist From Selection and name the new playlist to match the designation you chose for the set. d. Click on the newly-created Playlist name to load the set. e. In the File Menu, select Burn Playlist to Disc. Insert a rewritable CD into your computer’s CD/DVD burner drive when prompted. IMPORTANT: DO NOT USE ANY MEDIA OTHER THAN CD. While DVD discs will hold much more content, iTunes will not import their content back as MP3s later on, and that’s the whole point of this exercise. f. Be sure to check the box to include “song data” or “song details” before you start the burn process, as this will ensure all the data connected to the song (including the DRM designation you added in the Comments field) will go along with the song to the CD. Note that if you are re-using a rewritable disc during this step, you will be prompted to overwrite the disc’s current contents. DON’T OVERWRITE ANY OF YOUR DISCS UNTIL AFTER YOU’VE COMPLETED STEP 5, AND RE-IMPORTED THE DISC’S CONTENTS TO ITUNES AS MP3 FILES. In the Edit Menu, select Preferences. On the General tab, click on the Import Settings button in the When You Insert a CD section. In the Import Settings dialog, select “MP3 Encoder” for “Import Using” and “High Quality” or “Higher Quality”, as you prefer, for Setting. “Higher Quality” will result in a larger filesize. Save your changes and close the dialog. a. Insert the CD into your computer’s disc drive. b. iTunes will identify the disc and prompt you to import its contents. Follow the prompts to import. The songs will import as MP3 format files. 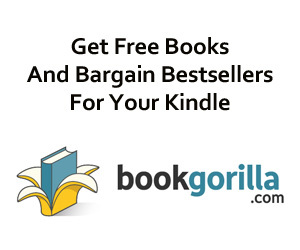 a. Click on your DRM Smart Playlist to load it. It should now contain both the original, copy-protected songs and your newly-imported MP3 versions. b. Right-click on the Column Title bar to add the “File Type” or “Kind” column to your screen. You can now easily tell the MP3 files apart from the DRM files. c. Select each non-MP3 file in the list and delete it from the list. When prompted, also delete the file from your library. If you believe you’ll want to keep the DRM-protected copies for some reason, back them up to disc or some location other than your iTunes library before performing this step. a. Login to Amazon and select Your Cloud Player from the Your Account menu. b. In Cloud Player, click the Upload Your Music button. c. In the Upload dialog, click the Browse Manually button. d. Locate the file or folder you wish to add, and upload it. If the quantity of files is very large, or spread out across many artists and folders, you may find it’s more efficient to burn each set you created in steps 2-3 to CD again (this time they’ll be in MP3 format) and then select your CD drive when manually browsing to upload each set. Alternatively, if your total music library only took a few hours to upload the first time and you haven’t tinkered with the song detail fields in Cloud Player since the upload, you may want to just let the uploader scan your entire library all over again. It will skip over any songs you’ve already uploaded and only add the newly-created MP3s. However, if you HAVE tinkered with song details in Cloud Player since the first import (e.g., you’ve changed Album titles, Genre, etc. ), then you will end up with duplicates of songs you’ve edited since the uploader won’t recognize the edited songs as duplicates of the same songs in your library. That’s it. Now ALL of your music should be in Cloud Player, with no DRM. If you want all, or a large portion of your music (too large to bother with downloading individual tracks or albums from Cloud Player) to be available on your portable player even when there’s no wifi connection available for streaming, you’ll need to copy the music you want to a micro SD card and insert that card into your portable player. This is pretty self-explanatory. Just make sure the card you buy is large enough to hold all the music you want to store on it, but no larger than your portable player can handle. My Galaxy Player can handle cards up to 32GB, for example. The adapter is a piece that looks like a regular-sized SD card, but allows you to insert a micro SD card into it for use in your computer’s SD card drive. Again, pretty self-explanatory. If you’ve followed all the DRM stripping steps above, your library should consist only of unprotected MP3 files that can be read and played by your non-Apple portable music/media player. Copy all the files you want onto the micro SD card using your computer’s File Manager or File Explorer program. CAUTION: make sure you’re only copying, NOT moving the files, if you still want to keep local copies in addition to your Cloud Player copies for any reason. Also self-explanatory, though it may not be obvious where the card goes into your portable player. In my Galaxy Player, you have to open the back of the case and remove the rechargeable battery to expose the micro SD card slot. See your device’s user guide for more information if the location isn’t obvious. Note that with a micro SD card inserted, every time you turn on your player it will take a few moments to scan the card’s content before you can use it. If the card has a LOT of content on it, this may take as much as 30 seconds or more. Do not attempt to launch your music player app until the scan is complete; doing so before the scan is complete can cause the scan to fail, and display a message saying there’s a problem with the card. If that happens, just turn your player off and on again to start over. Now you need never return to iTunes to manage, sync, transfer, purchase or buy your music!